There are bad feng shui plants and good feng shui plants. It is more about the feng shui positioning of specific plants in specific bagua areas of one's home or office. And, of course, because feng shui is all about energy, there is certainly a lot of emphasis on the actual energy of the plants, starting with their specific look and feel to one of the most important factors - their overall health. Having a popular feng shui plant such as the lucky bamboo, for example, struggling to survive, will be quite bad feng shui as compared to another plant with absolutely no specific feng shui reputation but with a vibrant, alive and joyful energy. 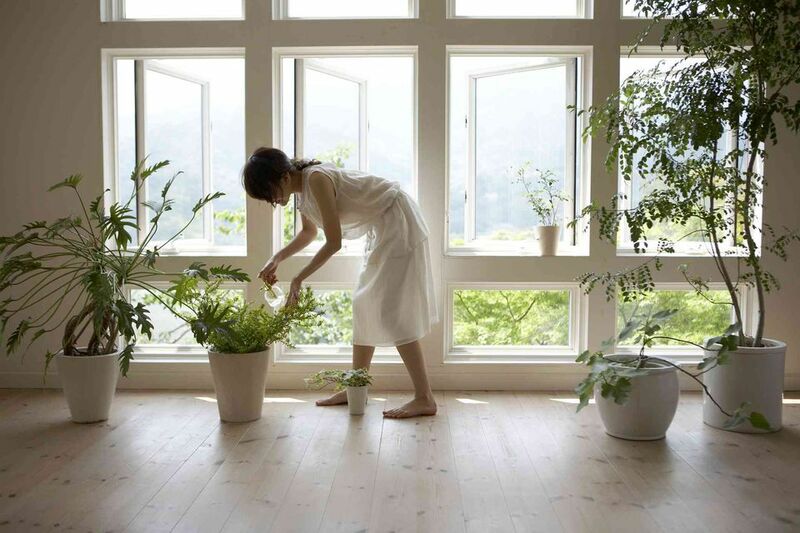 Plants are always excellent feng shui for a home or office because they bring vibrant Chi, or energy, into one's space. As long as the plants are kept healthy, are placed in good bagua areas, (as well as in visually pleasing pots), you can be sure they are good feng shui. First, let's start with what the plants that are usually referred to as good feng shui plants. 1. The feng shui plants known as top air purifying plants, as there can be no good energy in a home or office without clean, good quality air. Many beautiful plants are in this category - from the tall and graceful Areca Palm to the abundant and lush Boston Fern. 2. The good feng shui plants also known as the traditional money plants. The term is usually the money plant, but there are at least two plants that are widely used as a feng shui money plant. The so-called bad feng shui plants are usually the plants that, because of their shape, can bring undesired energy into one's home. The cactus plant is a classic example of a so-called bad feng shui plant because its energy is very "spiky". Sometimes the Mother-in-Law's Tongue plant, also called the Snake Plant (Sansevieria trifasciata), is considered a bad feng shui plant. However, this is not true, because the Snake Plant can bring very helpful energy when needed in specific areas of a home or office; this plant has strong protective energies. As for the feng shui positioning of plants in one's home or office, the best spots are in the bagua areas that are nourished by the Wood element of the plant. East, Southeast, and South bagua areas are excellent feng shui areas to decorate with plants. Be sure to play and experiment with the best placement of plants in your home or office, and of course, take very good care of them! This way the plants will become a harmonious part of your decor and create excellent feng shui in your space. Are Bonsai Tree Plants Bad Feng Shui?